Oh my gosh….beautifully done and I posted on Facebook. Thank you. lost my 12 year old pug last month and I am so not okay, but your video was wonderful. Thank you so much for your kind response. They say time heals. All I can say is hurry up time! This is a very nice video. I want to download it..can anyone please suggest me how & where should I download this from? Hi Nishma, The video is not downloadable, but you can view it on YouTube, as well. I just lost my baby and I love this! Just wish I could afford this pic! I’m going to look into creating offset prints which will be more affordable than the archival signed prints. I’m sorry you lost your baby—it always breaks my heart when I hear this. I am so very sorry for your loss. I would be glad to purchase the print for you if you’d like me to? I just lost 2 of my best friends Agi, the love of my life had massive heart attack in June was only 8 my little man I still cry every day missing him!! And I lost my Paco Bear due to Hurricane IRMA no power for 6 days & he suffocated from heat! I still have my Cowboy left, Agi’s brother. What I feel is dead inside. Your video says IT ALL! Thank you!!! That is oh so true. I still miss my souldog, but I am sure that we’ll be together again some day. how can I forward one of your cartoons to someone I know who doesn’t have a facebook page? Hello Holly, Thank you for writing! I just enabled the “Email” share button here (located right under the video), so you can share with a friend :). I cry every time I see this. It’s so beautiful, just like my precious little fluffy boy. Se sufre y extraña mucho la pérdida de un amigo peludo. No es fácil dejarlos ir . Se lo que se siente y no hay consuelo que valga. Me gustaría tener las las fotos de todo el cuento .me llegó al corazon , pareciera que fue hecho para mi . Me encantariare cibir las fotos o cuadros . THANKYOU FOR THIS BEAUTIFUL SALUTE TO OUR FUR BABIES I LOST MY LITLE SUGAR BOO 10 days after I lost my mom!!!! I can’t begin to tell you how many times I have watched this in the past 2 weeks when I had to say goodbye to my 14 1/2 y.o. furbaby Boo. Although it makes me cry every time it’s also helping me with my grieve because it helps me remember all the fun times we had too in the midst of feeling lost without my best friend. So just wanted to say thank you for making this. I found this on Facebook and I was crying by the end. We just lost our son’s dog, Charile, on Feb. 10, 2018 and I am still grieving over her. She was so sweet!! This really helped me. Glad to know there are others who feel like I do about my fur baby. I lost my sweet baby girl just a week ago…… She would have been 16 on friday. Don’t know if I will ever get over this loss. ……. I just lost my Bella on 15 June, 2018. I only had 23 hours to say goodbye as the cancer she contracted took her from me way too soon. She was only 9. I can say honestly that I cry every time I watch this. I have not truly begun to grieve. This was beautiful. Simple, yet it hits the mark with everything we all understand when we take that responsibility to become a parent. Thank you again, you have helped me to begin to heal. This is just so good… It says it exactly… My children’s furry brother, Bullseye, passed away on March 11th this year just two days after his 16th birthday. He was a Jack Russell x Chihuahua…and so, so sweet. He really was their little brother, as they were 7 and 9 1/2 when we got him. He was my shadow. And, as a puppy on the first day we got him, he wanted to sleep on my husband’s chest. On his last day, he also wanted to rest against my husband’s chest. It’s been over three months now, but I can still almost not watch this video even though I love it. This video speaks beautifully of the dearness of our dogs. My heart and Bullseye’s were just completely interwoven…and I miss him immensely. Thank you for making this lovely little film. 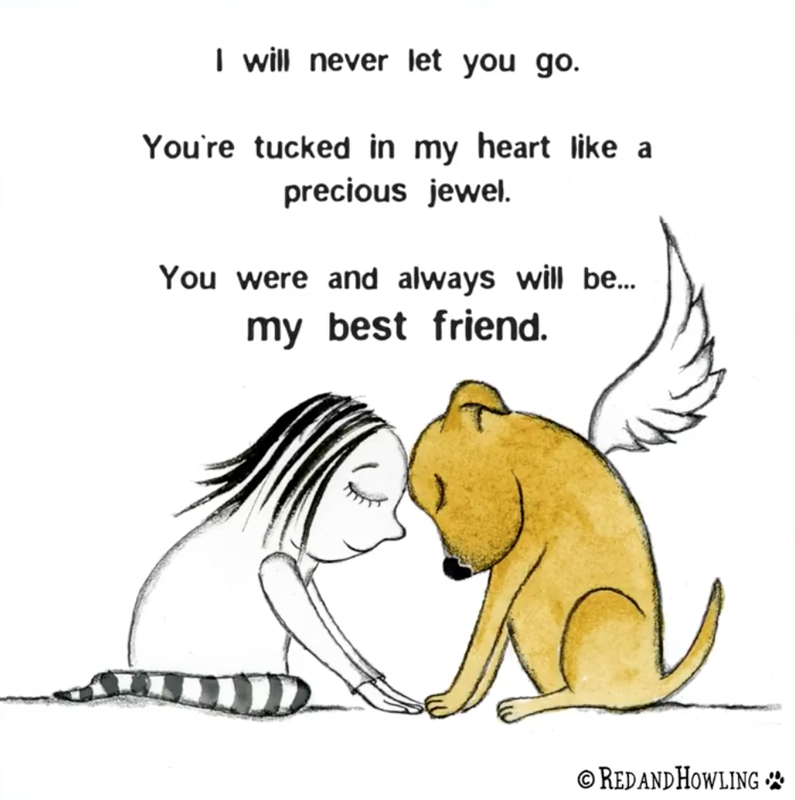 I love this thread, even though, it’s heart breaking…It is where I will be when one of my fur babies cross the Rainbow Bridge .. Thank you for this video. I lost my little Pekingese, Willow on July 10 just last month. I had him for 15 years. He was there for everything and he brought so much joy to my life. He soothed my soul and calmed my mind. He helped me through some tough parts of my life. I will always be grateful for the time that God shared him with me. I miss him but I will always love him and have a place in my heart for him. A friend sent this to me after my Bailey of 16 years passed. I cried and cried watching this. Thank you for this beautiful eloquent video. We have all been so fortunate to have such special bonds with our fur babies. I’m sorry for all of your losses. This could have been written for me and my boy they even look like us. I got him at six weeks, and lost him suddenly aged 13 to a cancer that had burst inside him (hemangio?) I had a few signs from him but nothing major, which I put down to advancing age until that horrific morning I found him collapsed. The grief is indescribable I am still six months later traumatised and shocked at how hard it hit me. My life is empty and I’m lost without a dog, but I’m terrified to get another in case I can’t enjoy it, at the back of my mind will be the fear that I’m going to have to go through it again. Or maybe I will be better prepared next time? I miss my boy so much. My buddy Spunky died today in my arms. He is a tri-colored Pomeranian and was 15 1/2 years old. 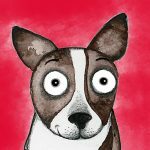 Spunky was the BEST dog – EVER! 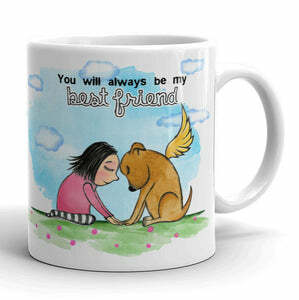 My friend Tanya sent me your video, “You Will Always Be My Best Friend” and it was perfect! That is how I felt and feel about Spunky! He was house-broke in 1 1/2 weeks! Learned every trick and command with only 3 times of showing him. He wasn’t a yapper! Spunky loved all people – especially little kids! He made me laugh all of the time. He loved doing funny things…somehow when I was laughing, he would keep doing them! I often gave him rides in the basket on my bicycle…his favorite thing to do! Anyway, I have been crying and crying. There is a huge hole in my heart for my little dogs…Thank you for a wonderful video that really says it all!